The mid-size pickup market is a tough one to break into, as customers demand these vehicles be capable on the road and off, as well as comfortable and loaded with the latest technology. With three generations and more than twenty years of continuous service under its belt, the Toyota Tacoma knows a thing or two about what makes a great pickup. But Toyota’s not the only pickup on the market, and the Nissan Frontier would like nothing more than to take the Tacoma down a peg. So which one of these tough competitors has what it takes to grab the crown as the toughest mid-size pickup in Winnipeg? As McPhillips Toyota pits the 2019 Toyota Tacoma against the 2019 Nissan Frontier read on to see which one comes out on top! When it comes to which of these two pickups is more capable of handling tough terrain, there’s simply no contest. 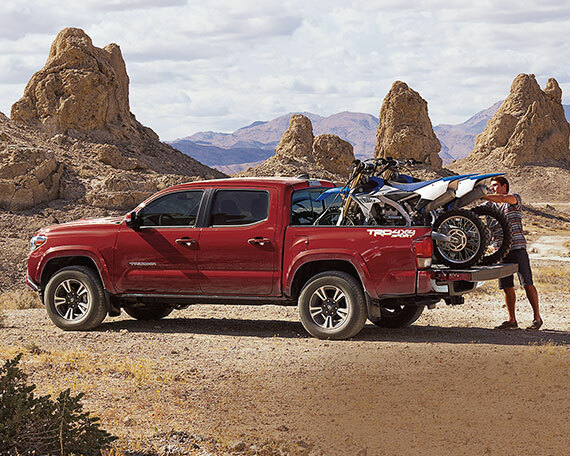 The 2019 Toyota Tundra offers the TRD Off-Road package which adds a locking rear differential, skid plates for the fuel tank and transfer case, and heavy-duty Bilstein shock absorbers. There’s even Multi-terrain Select and Crawl Control to ensure that your Tacoma can see you through even the toughest terrain. The Nissan Frontier tries to fight back with its PRO-4X package, but with more than 14 years on the market without a major refresh, the Frontier is well behind the times. Both of these trucks may be able to blast down gravel roads and cross rivers, but they both have to survive the daily rigors of everyday driving. That means comfort and technology is key, and once again the 2019 Tacoma roars ahead. 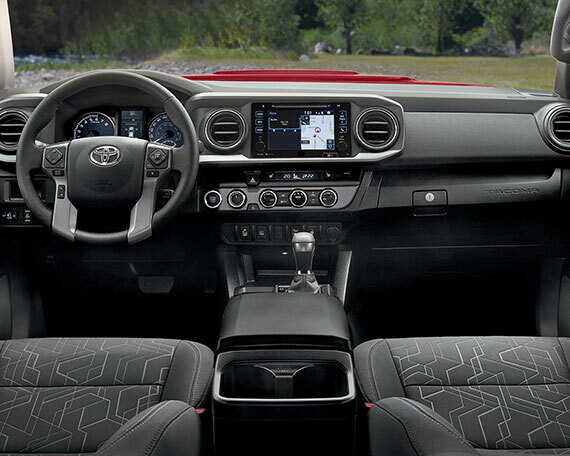 With luxuries like Qi wireless smartphone charging, a 6.1-inch touchscreen, keyless entry with push-button start, and even premium leather seating, the Tacoma takes the technological edge. Once again age cripples the Frontier, which can’t even offer a touchscreen as standard. Here at McPhillips Toyota, we have dozens of brand-new Tacoma’s in our New Vehicle Inventory, as well as Toyota Certified Pre-Owned Vehicles which combines the benefits of both new and used. The result is that you’re sure to find your perfect Tacoma for the right price. Feel free to Book a Test Drive with us to experience the toughness of the Tacoma first-hand, or Contact Us if you have any questions about this pickup truck or any other amazing Toyota!